PC Rear Cam uses your webcam to show you what happens in your back. It sticks to the screen margins and shows to you a selectable portion of the web cam video. It has a built-in motion sensor that executes a script when motion occur in the defined area. 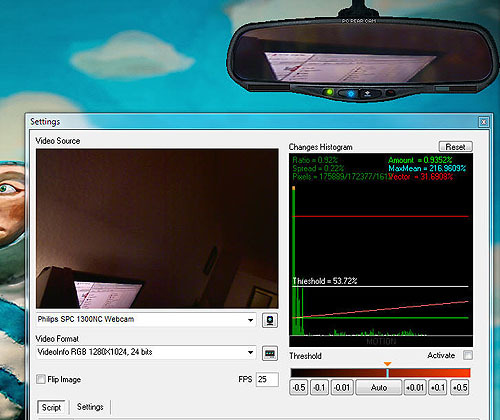 PC Rear Cam is a free portable application (no installation needed). Just download it for free from here. How to run an application, such as batch file or play a wav sound when motion is detected?